The documentation provided is quite poor and does not work in places, e.g. it tells you to start solr as root even though solr will not start as a root user. Just add the AIM and thats it. All is running perfect. The admin panel works, the ports are already open. Was amazed at how simple the initial setup was, but I ran into problems when setting up a new core. Seemed as though disk permissions weren't set up correctly, which I assumed would have been done. In the end I ended up installing Solr on Windows instead as my Linux skills are pretty basic and couldn't figure out what the problem was. 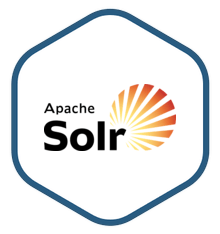 Everything works out of the box with very minor configurations to fit your needs.This saved me a great deal of time in installing Solr myself.